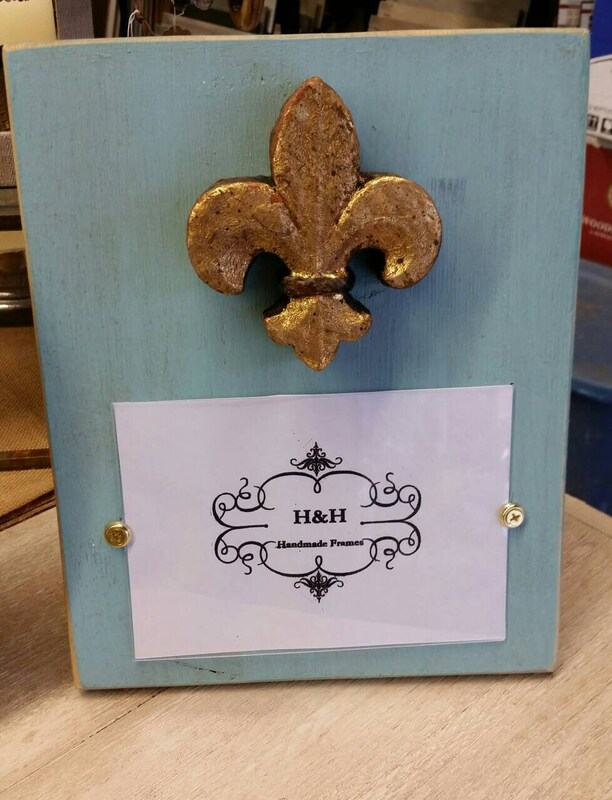 Handmade Painted Wood Picture Frame - Turquoise aged finish with antique gold fleur- de -lis the french symbol for new beginnings. The fleur-de-lis is the french symbol meaning new beginnings. This would make a wonderful baby or wedding gift. Outside frame dimensions 9 1/2"w x 12" h and holds a 5 x 7 picture. 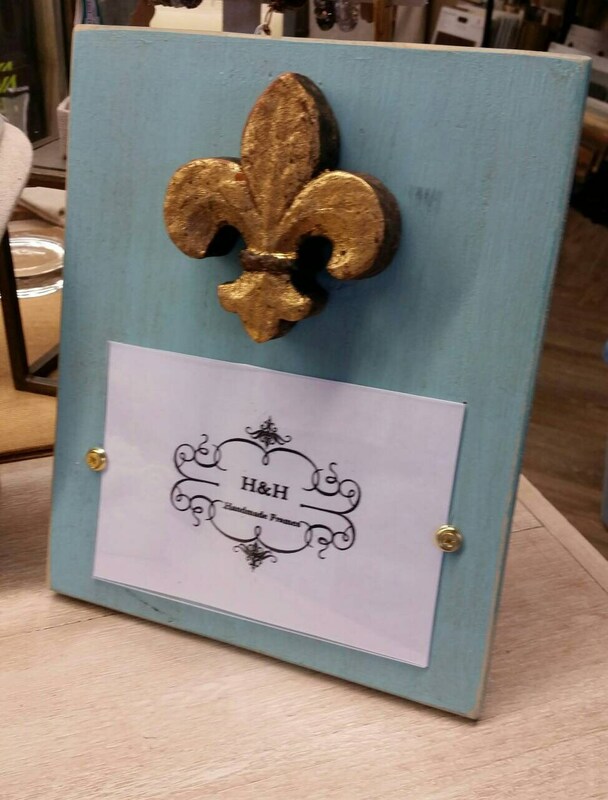 Finish color - Turquoise chalk paint with dark wax and sealer. 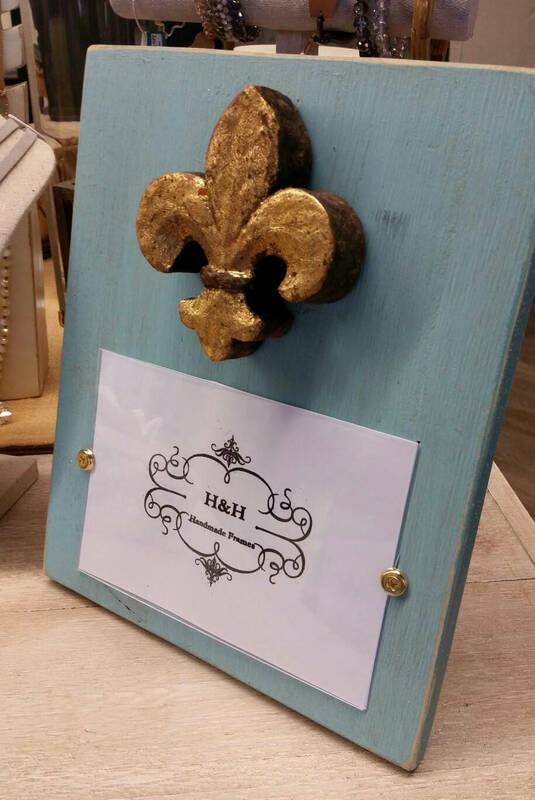 With a fleur-de-lis in a antique gold finish.